leftover onion rings. I added some cheese slices from the fridge. warmed them up in the microwave and set aside while I started the eggs. 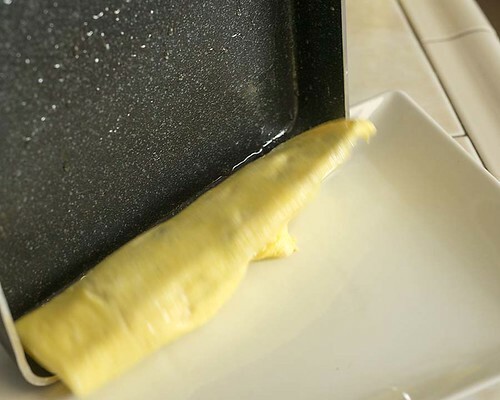 rolled omelette pan. 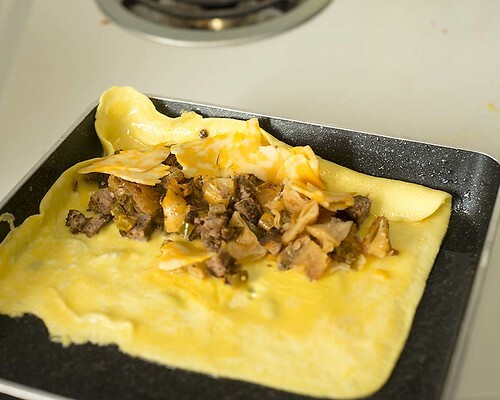 I thought that might just work for making folded omelettes too. 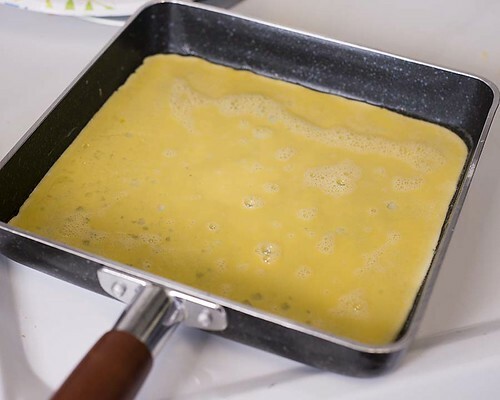 The pan is 8 X 8 1/2 the perfect size for a two egg omelette. 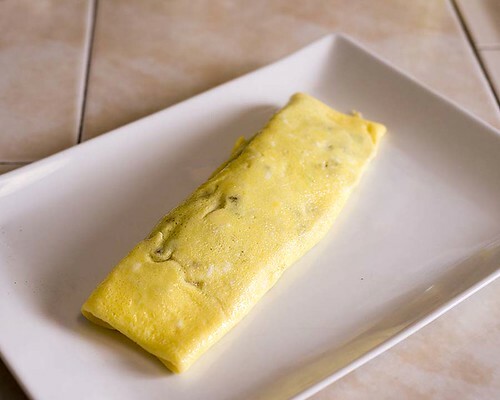 The eggs spread out thin enough in one layer and are set before the bottom turns brown. 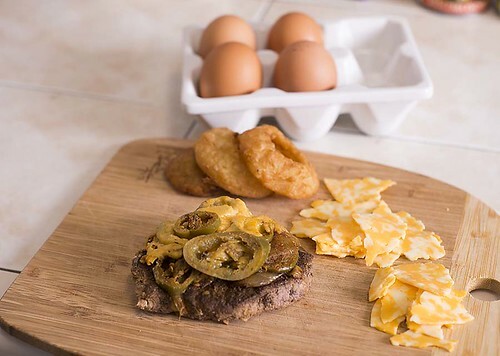 I can't stand brown omelettes blech!! I ran the filling along the one edge of the eggs and tilted the pan a little. and with a little coaxing from a spatula half of the omelette was folded. and it continued folding upon itself. There was so much filling, nothing else was needed; well, except for a cup of hot coffee.